It’s a great opportunity for all the automotive enthusiasts to be inspired by the glam and grandeur of country’s largest expo showcasing different vehicles including cars, trucks, concepts, classics, so on and so forth. All in all, more than thousand vehicles will be displayed during Canadian International Auto Show. Mazda believes in the factors that matter and is fulfilling its commitment to make driving experience amazing every time you get behind the wheel. To prove its absolute commitment of making difference, Mazda loves to participate in Auto Shows because they bring customers closer to them and their latest models, we better say the best lineup ever! 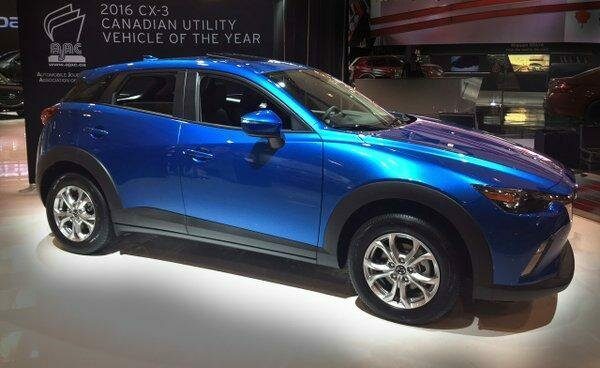 This time around Mazda is participating and inviting all of its admirers to see and believe the splendor of its 2016 Mazda family. Now you’d know why driving matters to us! Mazda has created an amazing and special listening experience in its booth for all the visitors – “The Sweet Sound of Precision”. This amazing sound is as exciting as the actual drive itself. Just give it a listen and get an opportunity to win amazing prizes. Mazda has a lot more for you in its booth, don’t forget to visit and experience the brilliance and glory of Mazda.